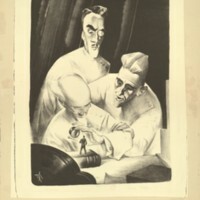 A lithograph entitled "San Miguel Allende" by Jesse F. Reed. 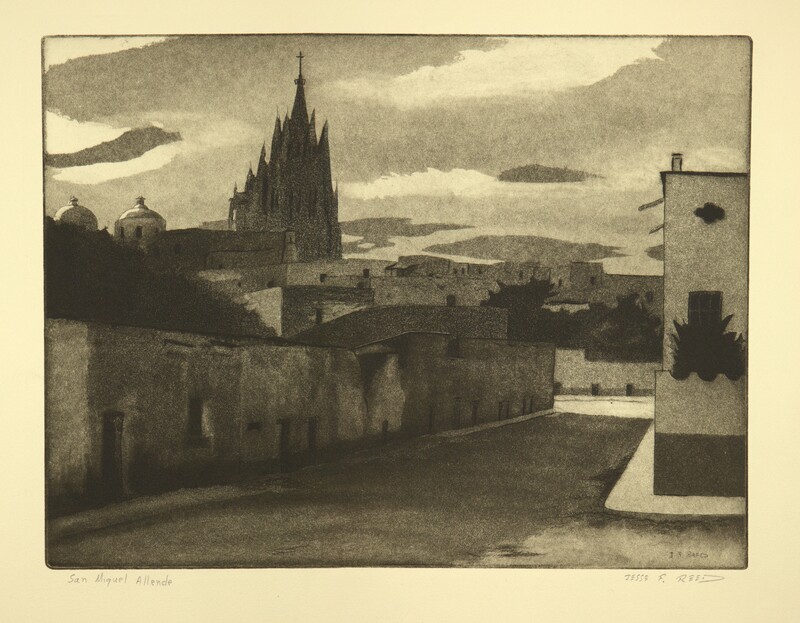 The lithograph depicts Mexican style adobe buildings with a large church in the background. 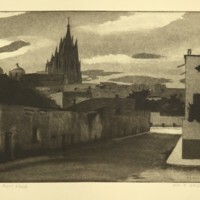 Reed, Jesse F., “San Miguel Allende,” Digital Exhibits, accessed April 22, 2019, https://cuexhibits.wrlc.org/items/show/199.